Puglia where tradition, culture and environment meet: this is "Masseria Tenuta Odegitria", an ancient farmhouse in Puglia, immersed in the Valle d'Itria of Martina Franca. 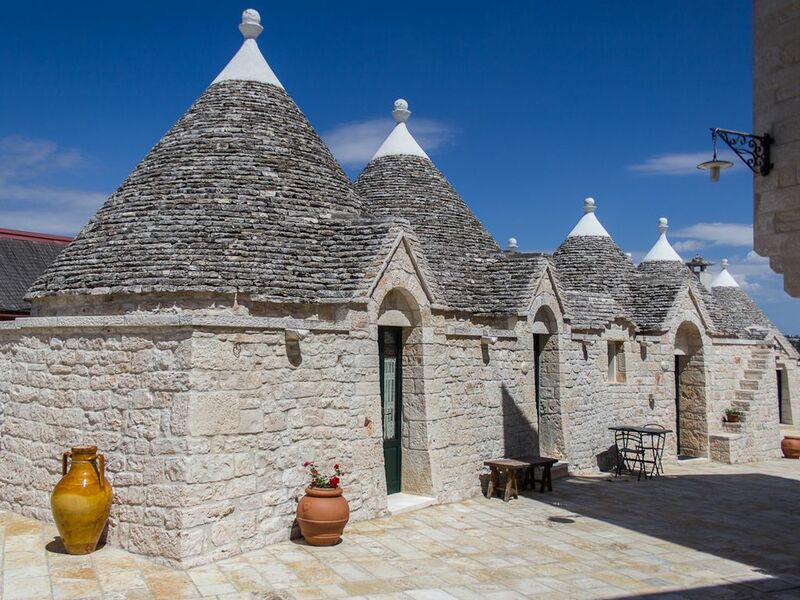 The farm has six apartments and trulli house, as well as swimming pool reserved for guests and tennis court and provides a bed and breakfast or holiday home. Outside each apartment there is a private corner with a table with chairs and umbrella. It is a starting point for the sandy shores of the Adriatic and Ionian and for excursions on foot or by bike or car to the most beautiful tourist destinations of Salento and Puglia as Martina Franca, Locorotondo, Alberobello, Cisternino and Ostuni.